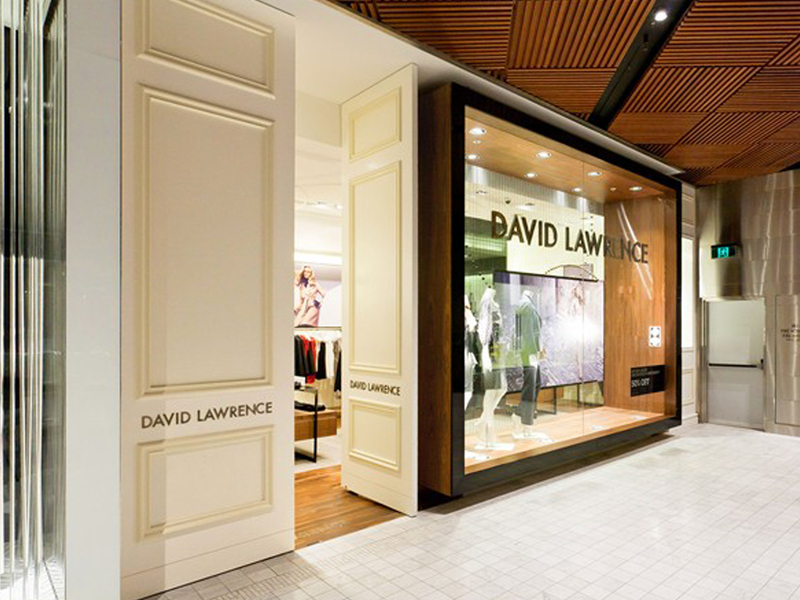 This David Lawrence flagship store is located on the ground floor of Westfield Sydney. Well known as a clothing designer with sophisticated designs, their shop fronts have been consciously designed to complement this. 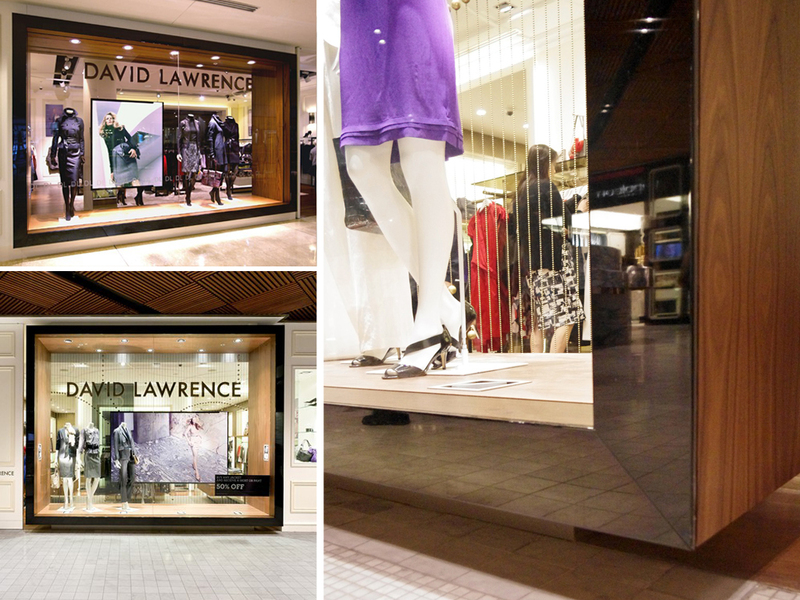 The impressive storefront surround frames the display window like a large picture frame. 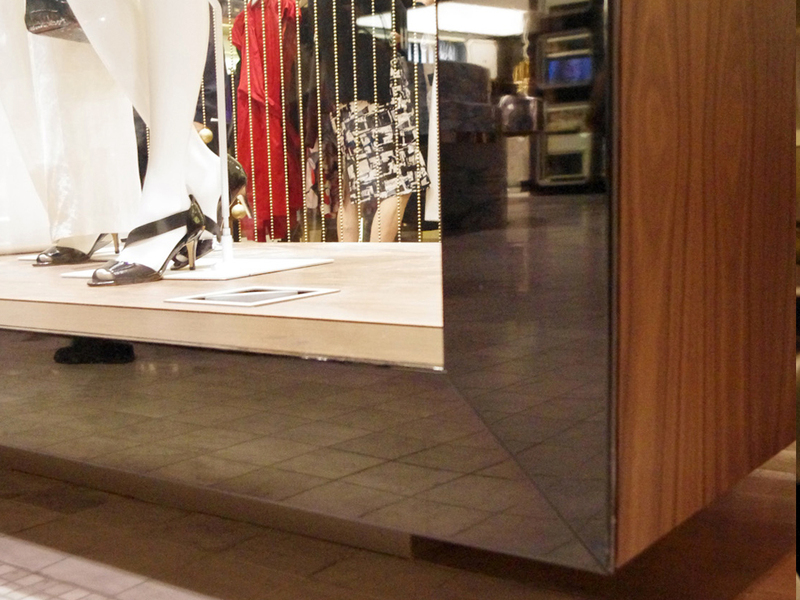 This was fabricated from folded Bright Annealed Stainless steel in a large 500 x 300mm wide profile. 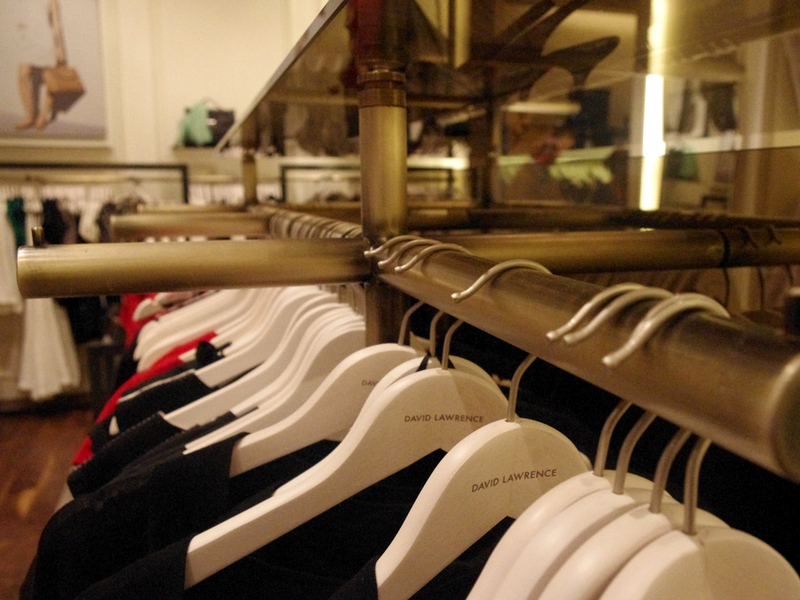 The gloss lacquer ensures the frame will not dull or age and is easy to maintain in a retail environment. In contrast, the other metal finish specified is ALHENA: Antique Brass Satin finish to the mild steel hangrails, signage and shelving system.